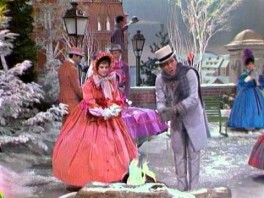 In 1963, Andy Willams debuted “It’s The Most Wonderful Time of the Year” on his television program in front of a national audience. It was an immediate hit. If you have never seen it, take a peak here. It’s a treat. Who doesn’t love parties for hosting, marshmallows for toasting, and caroling out in the snow? Yet sometimes the holidays feel like anything but the most wonderful time of the year. It can be the most stressful time of the year as we rush around preparing. It can be the most painful time of year as we mourn the loss of loved ones. It can be a reminder of what we wish our lives could be, but are not. For others the holidays embody good things. For most of us the holidays are a combination of things on these lists. Some good things. Some difficult things. This holiday season, may you experience true life, whatever it brings. For the most wonderful time of the year, may you be able to be deeply present and experience your life as it is. Not as it was, or what you wish it could be, but as it is. It will take great courage, but growth begins in the here and now. Here’s one more oldie if you enjoyed Andy’s number.